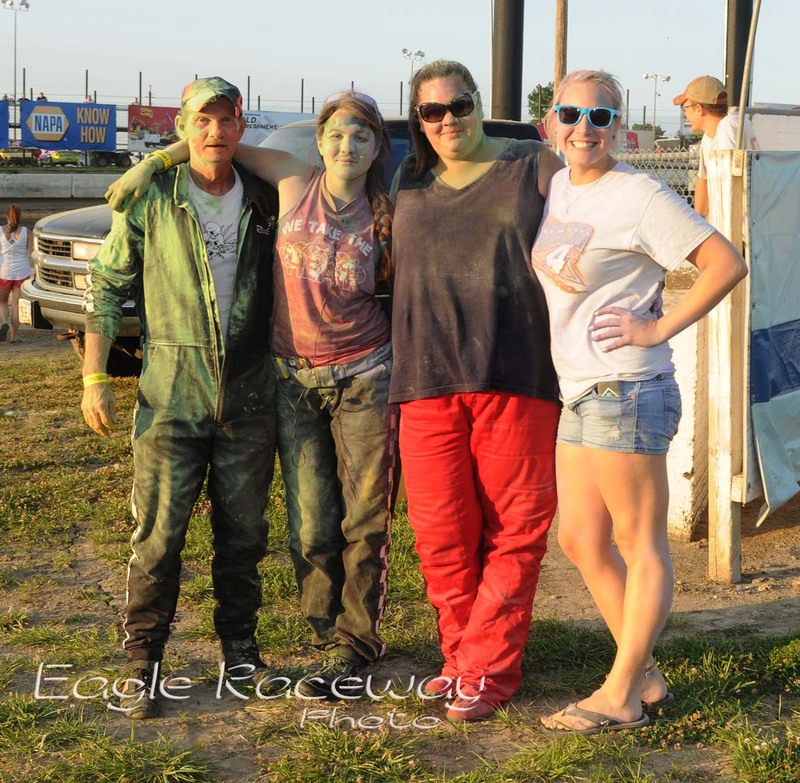 Eagle Raceway is a one-third mile dirt track located two miles (3 km) east of Eagle, Nebraska on U.S. Highway 34 in Cass County, Nebraska, often referred to by some as the “World’s Fastest Third Mile” because of its speed. The track is located approximately ten miles east of Lincoln, Nebraska. As of 2006, the World of Outlaws Sprint Series races at the track once a year, in June, which has now been replaced by the ASCS Nationals. A regular weekly show at the track (Saturday nights from April to September) generally consists of winged sprint cars and IMCA Modifieds. In 2006, IMCA-Sanctioned Hobby Stocks and 4-Cylinder Sport Compacts were added to the weekly program. In 2010, the IMCA Sport Modifieds were added to the weekly show. In 1963, Eagle, NE residents Dale Halvorsen and Harvey Kropp constructed the racetrack out of farm ground owned by Halvorsen. Kropp served as promoter of the races. The unique terrain allowed for a high-banked bowl-shaped racetrack to be carved out of surrounding hills. The hills provided an easy location for above-track grandstands. Kropp and Halvorsen promoted primarily open wheel racing events throughout the 1960s and 1970s, ending their promotion of racing after an abbreviated 1976 season in which the only death at the speedway occurred after Jim Golden flipped in turn one after releasing his seatbelts shortly after winning his preliminary heat race. The track remained dormant until 1978 when Paul Saenz leased the track from Halvorsen and raced Late Model Stock Cars weekly. In 1984, the track was purchased by John Beecham, his wife Laura and John’s brother Marty. Interestingly, Laura Beecham is the sister of Jim Golden, the only driver to die in competition at the track. The World of Outlaws were brought to the track for a June show. The Beechams began a major renovation project, razing the decaying original scorer’s tower and concession stands and constructing a new, two level concession stand and scorer’s / VIP area. The old seats were replaced with seating for approximately 5000 fans. 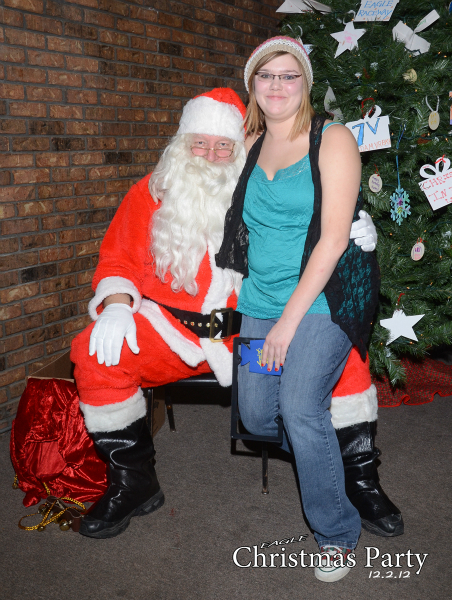 The race program consisted of a Friday night winged sprint cars program and a Saturday night NASCAR-sanctioned weekly stock car program. For the 1985 season, the days of the stock car and sprint car program were reversed and IMCA Modifieds were added to the Sprint Car show on Saturdays. The 1987 season saw the introduction of the USAC Midget Series in the Midsummer Midget Classic, which brought future NASCAR Nextel Cup stars to the track. Winners of the annual race include Jeff Gordon (1990) and Tony Stewart (1994). In 1997, the Beecham Family sold the track to Craig Cormack and racing partner Dean Orth operating as Eagle Entertainment, LLC. Cormack took full control of the racetrack in 1999 and continued the weekly program with stock cars on Friday and Sprint Cars & Modifieds on Saturday. As part of the new ownership, the wooden bleachers were replaced with concrete and aluminum stadium seating, with an additional two sections of seats were added in 2000 including a 40-foot (12 m) high section of aluminum grandstand and a smaller section of 750-seat wood bleachers, increasing the seating capacity to 8500. The track focused on the entertainment model put forth by such groups as World Wrestling Entertainment, emphasizing activity in the stands as well as the track, and a 100,000-watt sound system was added in 1997. Notable was the inclusion of track announcer Rick Schwieger, who joined Speed Channel as the NASCAR Craftsman Truck Series play-by-play announcer and adopted the broadcast name Rick Allen. In 2001, blaming poor attendance and participation by race teams, Cormack ended the Friday night stock car program. After the 2005 season, again citing poor attendance, increased criticism on Internet Forums and lack of profit during his ownership, Cormack closed the racetrack and put it up for sale. Former Late Model driver Roger Hadan entered a lease agreement with Cormack to operate the racetrack in 2006, and purchased the track at the end of 2006. 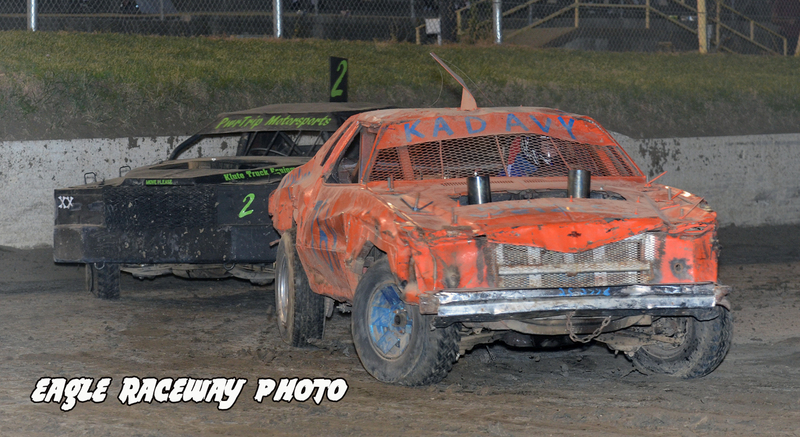 Hadan added IMCA Hobby Stocks and Sport Compacts to the Saturday Night program. Hadan also gained notoriety for promotion of School bus Races and other novelty acts for fans. In 2007 he added a JumboTron, which was sadly laid to rest in the 2010 race season. 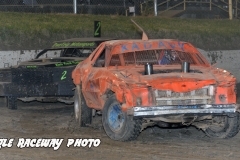 In 2010, the IMCA Sport Modifieds were added to the weekly program. After the 2010 season, the track leased the facility out to Eagle Hollow Haunt for a seasonal Haunt during the month of October. 2011 was the inaugural year for the Mini E Raceway inside the high banked bull ring of Eagle Raceway hosting Friday night go-kart racing. 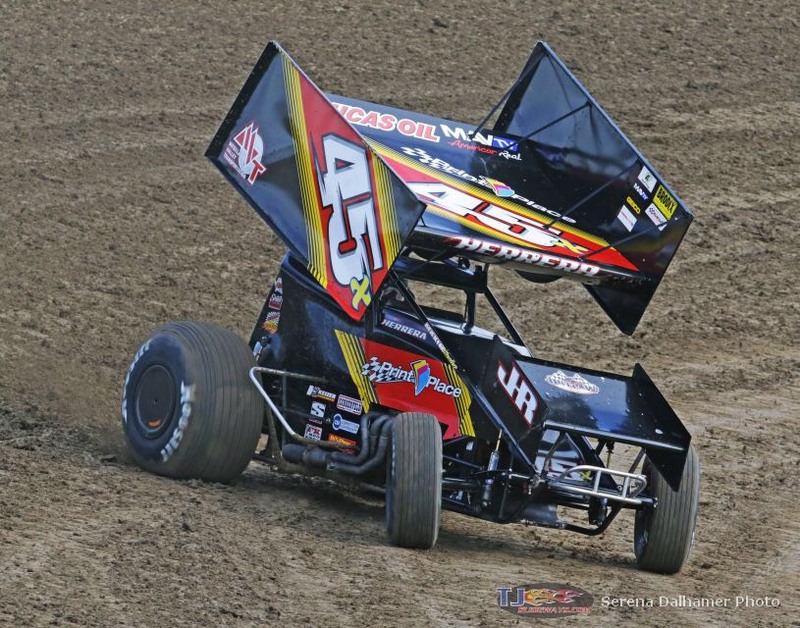 In 2012 Roger Hadan made a big decision after sighting low car counts throughout the season for the weekly 360 Sprint car class due to how expensive the class had become. 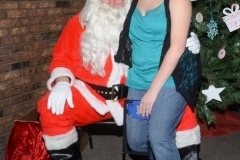 He announced that Eagle Raceway would make an economical change for the better for the 2013 season. A deal was made with Hadan, French Grimes (Founder of the RaceSaver Sprint Car Rules), and IMCA. 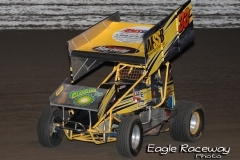 For 2013, IMCA adopted the RaceSaver 305 Rule Package and Eagle Raceway’s Sprint Cars became IMCA Sanctioned for the 2013 race season. This decision made a huge difference, lowered the cost of Sprint Car racing, and drew a lot of new drivers into the world of Sprint Car racing. 2014 will be the first year for a new sprint series due to an increased amount of interest in the new IMCA RaceSaver Sprints. 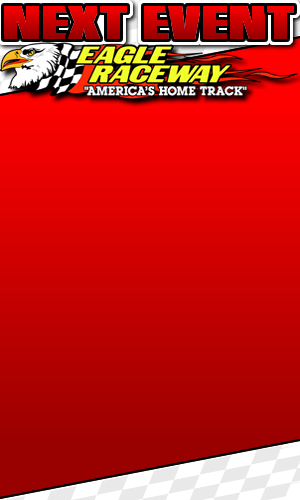 The series is called SSN (Sprint Series of Nebraska) and will travel to different tracks throughout the 2014 season. Following the success of the inaugural 1/3 mile IMCA Sprint Super Nationals in the 2013 season another decision was made between French Grimes (Founder of RaceSaver) and Roger Hadan. French Grimes had opted to no longer hold the Racesaver Nationals which had been run at the Fork Mountain Raceway in Bassett, Virginia for the past 14 years. After lengthy discussions between French Grimes and Roger Hadan, it was decided that the annual Championship should be held at Eagle Raceway. 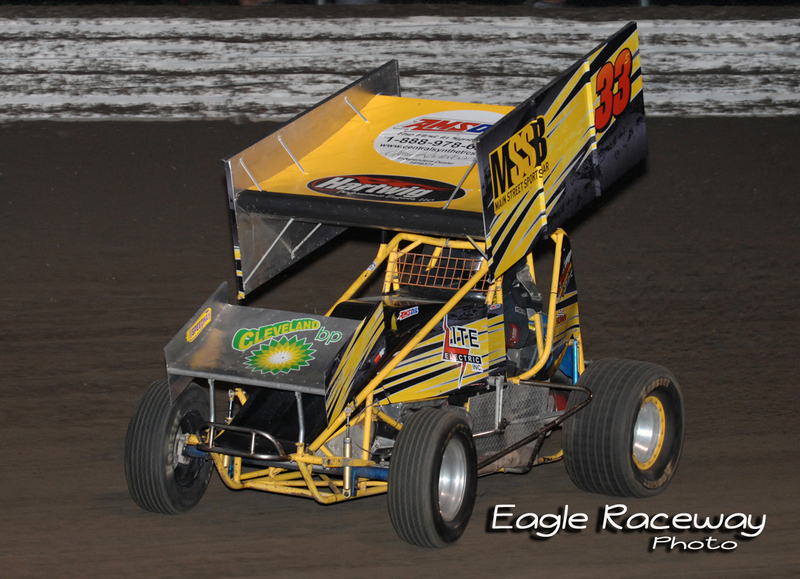 The Super Nationals at Eagle Raceway will become a championship weekend for RaceSaver and IMCA Sprint Drivers alike. It will now be called the “RaceSaver IMCA Sprint Super Nationals”. And, to make 2014’s Super Nationals even more memorable, the “Big Dance” on Sunday night will feature the first ever 3-wide start featuring the top 27 drivers from the weekend. 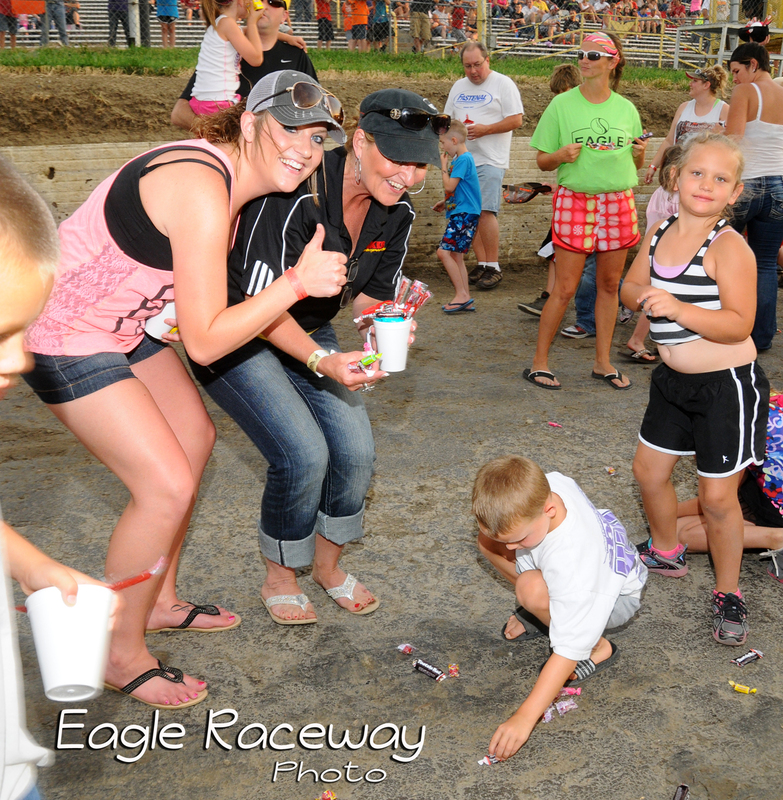 Eagle Raceway has become America’s Home Track striving to become your home away from home racing experience. We have proudly become an affordable family entertainment destination right here in the heartland of America…the grass roots of racing.